The military and religious orders of the Knights Templar (founded 1120) and Knights Hospitaller (founded c.1099) were a driving force throughout the long history of the crusades. This study examines the work of the two orders closely, using original charters to analyse their activities in their administrative heartland in south-west France, and sets them in the context of contemporary religious life and economic organisation. Recruitment, fund-raising, farming, shipping, and communal life are all touched upon, and the orders' commitment to crusading through control and supply of manpower, money, arms and supplies is assessed. Dr Selwood shows the orders at the centre of religious life in Occitania, highlighting their success compared with other new orders such as the Cistercians, and looking at their relationships with the secular and monastic Church. 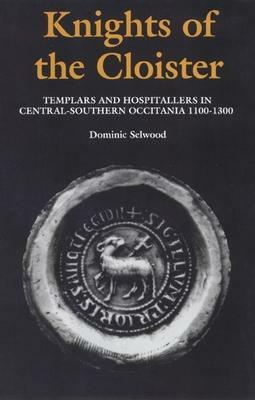 Other themes addressed include the orders' relationship to Occitanian society and to the laiety, their involvement with pilgrimage to Jerusalem, their innovative administrative structures, and their logistical operations. The military and religious orders of the Knights Templar (founded 1120) and Knights Hospitaller (founded c.1099) were a driving force throughout the long history of the crusades. This study examines the work of the two orders closely, using original charters to analyse their activities in their administrative heartland in southern France. Recruitment, fund-raising, farming, shipping, and communal life are all touched upon, and the orders' commitment to crusading through control and supply of manpower, money, arms and supplies is continually assessed. Dr Selwood shows the orders at the centre of religious life in Occitania, highlighting their success compared with other new orders such as the Cistercians, and looking at their relationships with the secular and monastic Church. Other themes addressed include the orders' relationship to Occitanian society and to the laiety, their involvement with pilgrimage to Jerusalem, their innovative administrative structures, and their logistical operations. DOMINIC SELWOOD gained his Ph.D. at Oxford; he is now a barrister.